[By Nick] If you like us on Facebook (you don’t? Well, click here!) you might recall there being a post saying I was making another order to Ice Cream Source. Right before I was about to finalize my order, Ice Cream Source decided to add a new brand to their inventory. Not willing to pass up the chance to try another new brand at an introductory price, I added a couple of pints of Sorano Gelato to my shipment. Today we’ll take a look at their Double Dutch Chocolate variety. as little of a carbon footprint as possible with the help of wind power, recycling, reuse and composting. That’s always a plus in my book, so let’s move on to the gelato. Described plainly as “rich, real milk chocolate speckled with dark chocolate flecks” there’s not really much I can comment on. They do go on to say chocolate is good for me so I guess I’ll take their advice and “go ahead”. Removing the lid was quite difficult with this one. The gelato had pretty much adhered to it and I actually had to force it to separate. Getting a look at it, it kind of appears to be spongy to me. Putting my spoon into it only confirmed that. The texture of this one is just weird. 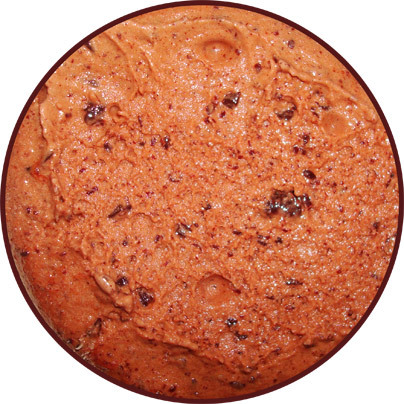 It’s dense but chewy with no resemblance to any gelato I’ve had in my life. It reminds me almost of taffy that dissolves quickly. The even stranger thing is I’m actually digging the consistency. The taste is predominantly milk chocolate. The shards of dark chocolate are no match for the base and only add a textural component. That’s a bit disappointing to me because I prefer dark chocolate but the milk chocolate flavor is still quite decedent. I still can’t get over how different the texture is though. It’s as if gelato and frozen dairy dessert had a child. It’s strange yet still enjoyable. On Second Scoop: I noticed after my first scoop that the side of the container says for the best flavor let the gelato warm up into a soft serve consistency. I normally let gelato sit out for a good 10-15 minutes before eating but I guess that wasn't long enough to get it to the consistency they want me to eat it. After waiting a bit over 20 minutes, I can’t say the flavor really changed but you end up losing a bit of the chewiness. I actually feel like this is a bad thing because I was really starting to like how it was different from the norm. I do have another pint of Sorano so I think I’ll let that one just stay chewy instead of going with their recommendation. Verdict? Unique texture with a dominant milk chocolate taste. Buy Again? I’m not quite sure to be honest. 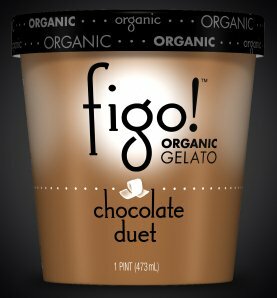 2013 Update: Sorano Gelato has been rebranded as Figo Organic Gelato. Organic Gelato isn't cheap, and now the packaging reflects. This is now more in line with say Talenti's packaging. 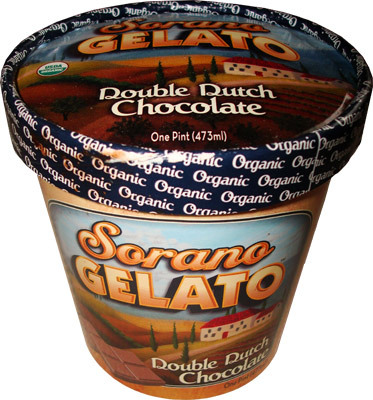 I've seen Sorano Gelato at Whole Foods a few times, but have always hesitated to try it for whatever reason. I guess I'll wait to see how the other flavor goes for you and then decide what to do from there. 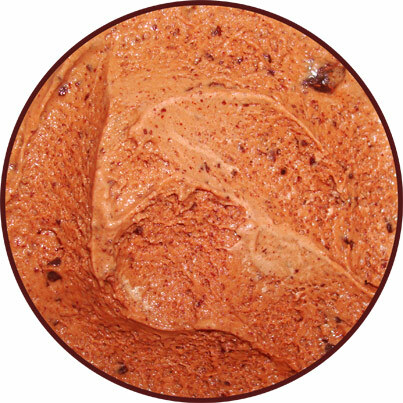 I think you'd prefer it in the soft serve consistency seeing as you don't like your dessert to have much chew to it.